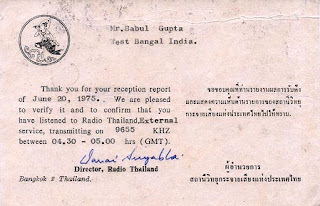 Radio Thailand: 9655 kHz, 0430 hrs to 0500 hrs GMT log this station on 20th June, 1975. 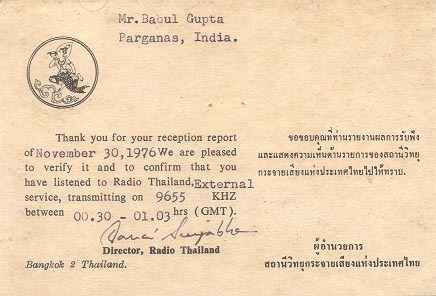 Radio Thailand: 9655 kHz, 0030 hrs to 0103 hrs GMT log on 30th November,1976 for external service broadcast. 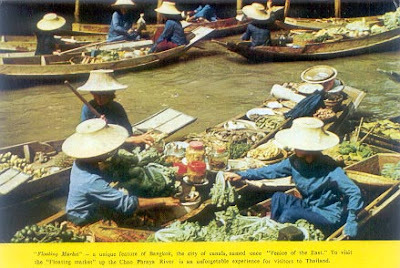 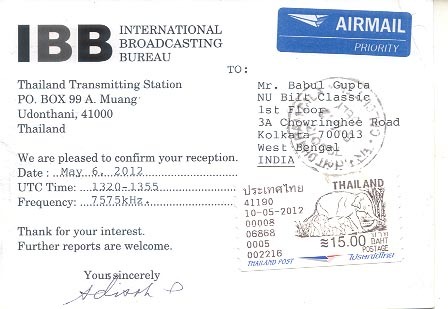 7575 kHz, 1320 hrs to 1355 hrs UTC log on 6th May, 2012, f/d QSL card received on 6th June, 2012.
in Burmese, 1145 to 1200 hrs UTC, log on 29th March, 2013 and f/d QSL arrived on 13th April, 2013 for E-mail report. 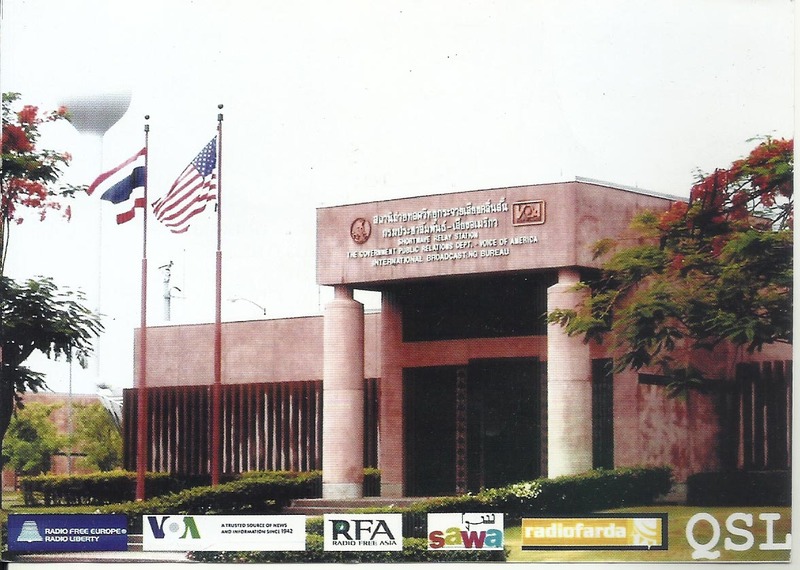 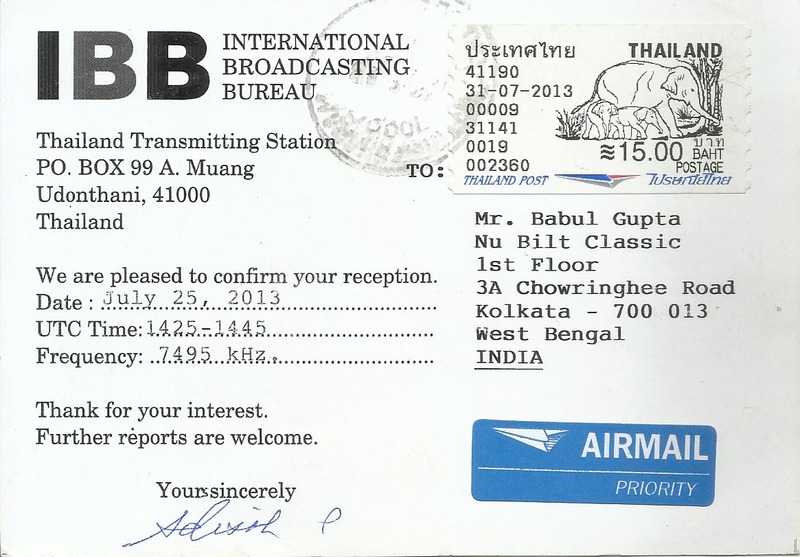 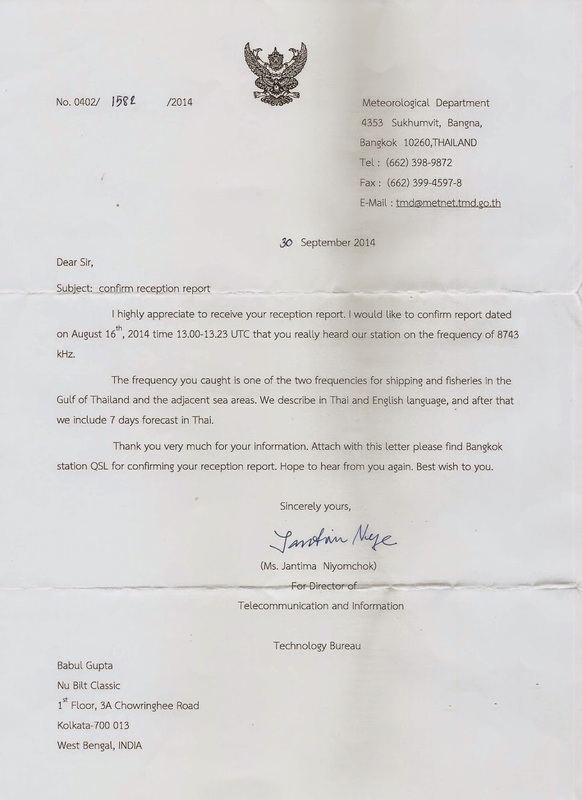 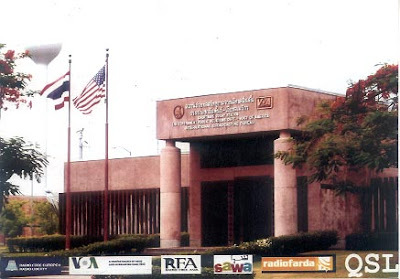 Radio Deewa - IBB International Broadcasting Bureau: Udonthani - Thailand, 7495 kHz at 1425 hrs to 1445 hrs UTC in Pashto language lon on 25th July, 2013 and f/d QSL card received on 12th August, 2013 for email report. 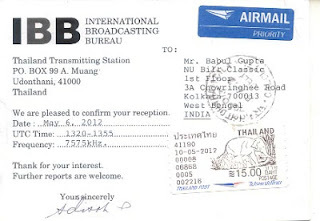 Everything good friend, was looking for the address of the radio Thailandia and found the address to send Inform Reception here in this very nice QSL card. 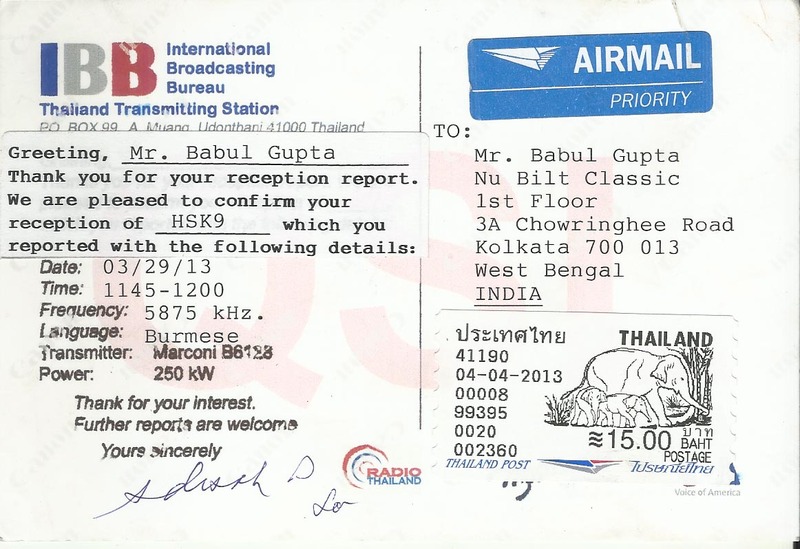 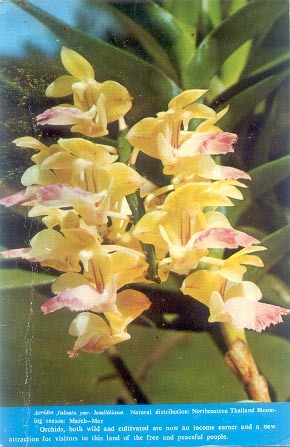 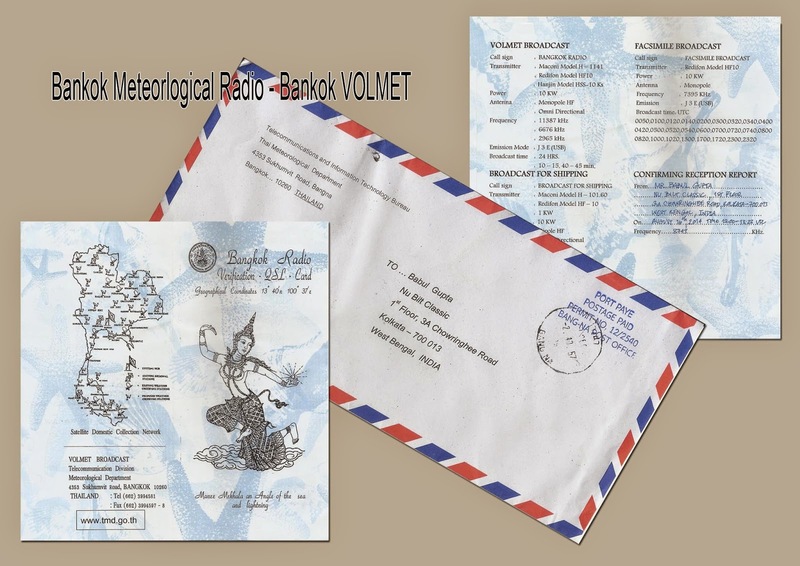 I like your blog has many beautiful wonders QSL card. 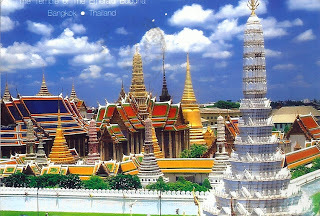 I live in Brazil's Sao Paulo / SP. I would like to have a visit on my Blog also with some comments there goes the link: http://qsldobrasil.blogspot.com Thanks buddy. 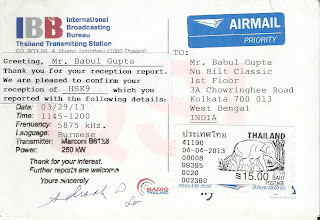 I would like to have a visit on my Blog also with some comments there goes the link: http://qsldobrasil.blogspot.com Thanks buddy.